It's that time of year again! The time when the beautiful people come out of hiding and show us mere mortals a thing or two when it comes to the game of fashion. Kicking off tomorrow night at Fashion Paramount (no, not that Paramount), Perth fashionista’s can expect an electrifying week of fashion fanfare across Perth at the 2015 Telstra Perth Fashion Festival. But while it's the runway shows that are sure to have the fashion elite talking, there are a whole lotta other fashionable things happening that make this week one of the best in Perth. Here are 9 cool things you need to know about this year’s Telstra Perth Fashion Festival. Grab a champers and settle in dahh-ling! After presenting her much anticipated demi-couture 2015/16 'Lightyears' collection at Telstra Perth Fashion Festival, enex100 will house the new Jaime Lee collection in an exciting tokyo-technology themed installation. The collection is inspired by Japanese theme parks with an impressionistic feel and features new hyper colour digital prints and 3D textile explorations. In addition to this, there will be a Jamie Lee pop-up shop selling ready to wear and limited release pieces on the Hay Street Level. 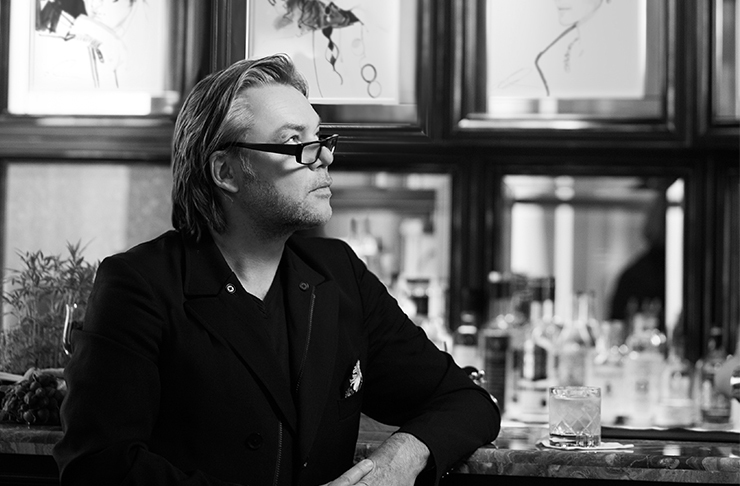 Legendary fashion artist and couture illustrator, David Downton will journey all the way from the UK to Perth to unveil a new body of work for his latest exhibition, Front Row with David Downton. The exhibition will feature illustrations drawn from the front row of this season’s hottest international couture shows, including Saint Laurent and Dior. L’Oréal Professionel are giving select guests of this year’s Telstra Perth Fashion Festival the opportunity to experience the runway backstage first hand and have 15 minutes of fame as a runway model. Uncover all the secrets to having killer looking hair during the festival and then instagram the heck out of it! All Fashion Paramount guests can register their interest for this experience and have their tresses styled before the show at interactive L’Oreal Blow Wave Bar by your very own styling professional. Feel like you're in a fashion flurry and need some chill-out time? Be greeted by one of WA's most handsome up-and-coming male models (can I hear a hell yeah!) and experience all the red carpet moments on the screen at the Healthway Chill Out Lounge. Cos fashion can be tiring and male models make everything better. Perth Airport is set to take off (see what we did there) on the runway in Forrest Place, showcasing the spring/summer collections from their exclusive retailers including Ripcurl, JR/Duty Free, Purely Merino, Australian Way and Sunglass Hut. This runway event will bring holiday shopping to life and the range of leading fashion brands available from the retail outlets at Perth Airport may surprise you—handy for the next time you're jetting off on a holiday! Don’t forget to check-in (ahem...) on 20 September. Immerse yourself in an augmented reality experience unlike any other and strut your stuff on the Telstra Walks Runway, where you’ll be transported to the season’s most coveted runway in a flash. It could be the only chance you ever get to walk the runway, no offence. Creating international pathways and connections can be a significant obstacle to our local designers and retailers (we are the most isolated city in the world after all!) Presented by the Fashion Council WA, Style Circle's third Industry Forum for 2015 will provide direct access to acclaimed industry icons from around the globe, as well as share the story of our talent breaking into new markets. Hear direct from iconic UK illustrator David Downton, who will share his experiences illustrating the world's most beautiful women and Bradley Quinn, who will give insight into his international experience creating digital textiles of the future. This is a private showcase of WA Designers to give the festival’s VIP guests, buyers and media a chance to engage with and support WA’s amazing array of local design talent. Consumers, media and buyers will be treated to a fashionable, elegant and curated space on the rooftop of our fave Northbridge digs, The Alex Hotel, with the backdrop of Perth City up in lights. The 2015 Telstra Perth Fashion Festival and local headphone designers Audiofly are fusing fashion and technology together to bring this year’s Festival VIPs an exclusive pair of Audiofly’s much-loved AF33 headphones. The limited edition headphones will be available to VIP guests who attend the runway shows at Fashion Paramount and the Ascot Racecourse throughout the six days of the festival. Best of all, they’re in the Festival’s iconic shade of pink.